Ecosure provides professional and fully qualified Fauna Spotter Catchers working under industry leading safety and quality standards. 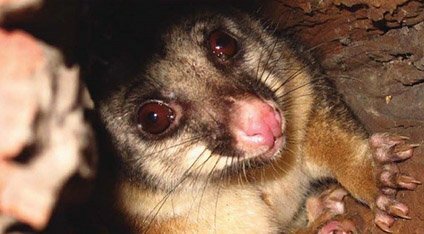 Clearing vegetation often poses a risk to native wildlife. Ecosure’s Fauna Spotter Catchers are trained snake handlers, have extensive wildlife understanding and are also skilled working alongside heavy machinery on construction sites. Ecosure tailors its services to assist with a wide range of projects, regardless of size, being carried out by developers, government or mining and energy companies. 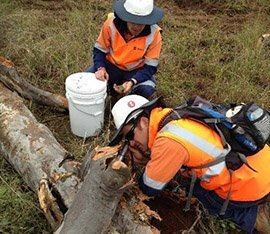 Land clearing is regulated by local, state and federal legislation and a Fauna Spotter Catcher/Fauna Rescue is required to inspect a site prior to clearing and be present during clearing operations. Ecosure has helped many companies with their clearing projects including Bechtel, Arrow Energy, Thiess, Fulton Hogan, Lend Lease and Laing O’Rourke. Ecosure’s Fauna Spotter Catchers are qualified and licensed to capture, release or employ emergency euthanasia to wildlife impacted by human activity in accordance with relevant permits. Ecosure’s Fauna Spotter Catchers have extensive experience in identifying significant habitat and habitat features throughout a clearing zone before work commences. To ensure clearing takes place in the safest way possible, Ecosure’s Fauna Spotter Catchers adhere to strict communication protocols when working with machinery operators.